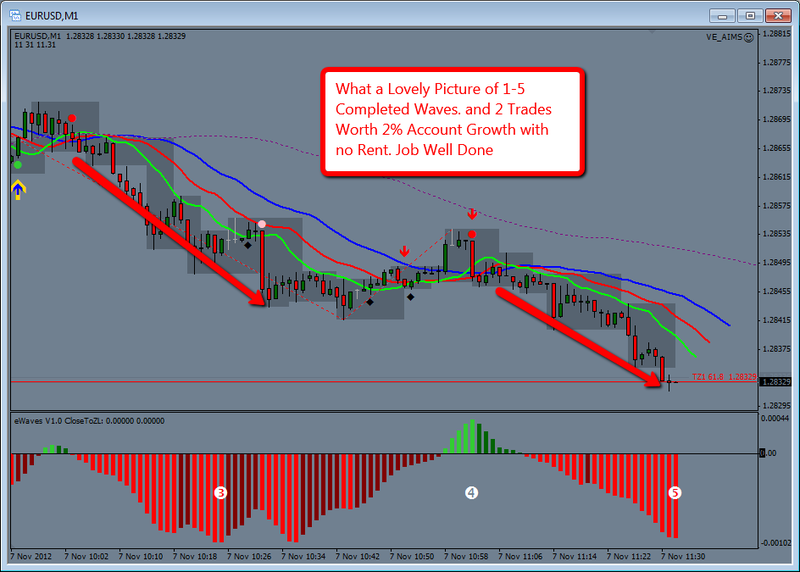 We saw a good overnight move on EUR/USD today. 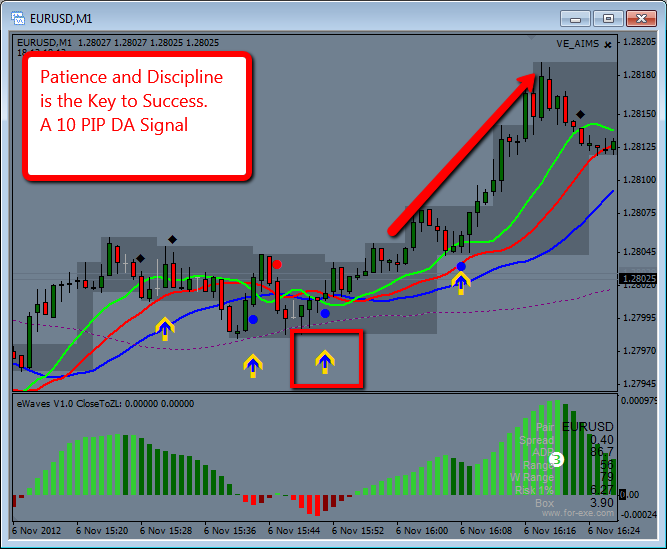 Looking at that we decided to trade the Retrace of the overnight move and caught a nice little Elliott Wave formation. Now we don't trade Elliott Wave but we have a nice little indicator developed by Snorm of www.For-Exe.com which makes our job alot easier. We like to call it 1 Second Elliott Wave. 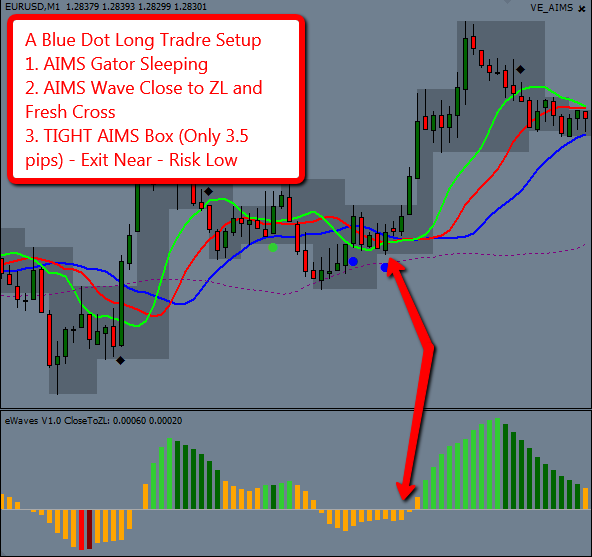 Here is the picture which shows how YOU could have taken 2 lovely trades, using AIMS Stress Free Trading Strategy. 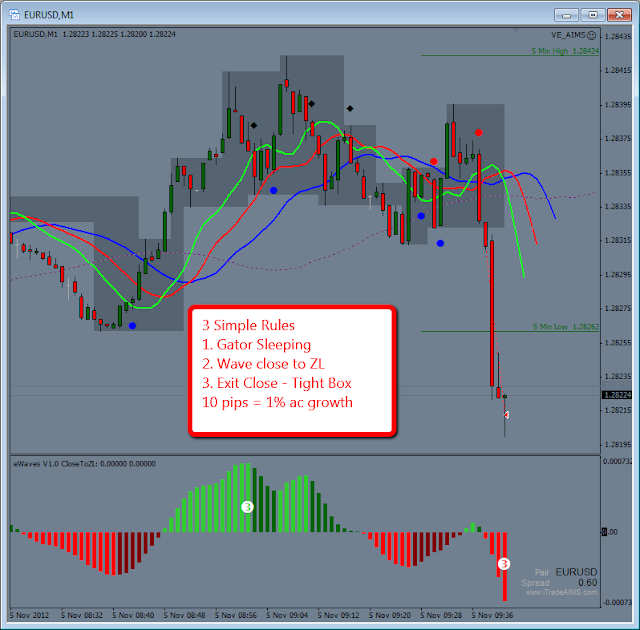 You could have raised your account between 2 -5% during the first two ours of London Session. There is more to come.... but for now we are done! Above: AIMS eWave by Snorm shows a Target Point. (Red Horizontal Line) this line was printed 30 candles before it was hit. How good is that? Just Before New York Session the heavens poured pips but I was not around at the time. But I could a nice 5th wave. 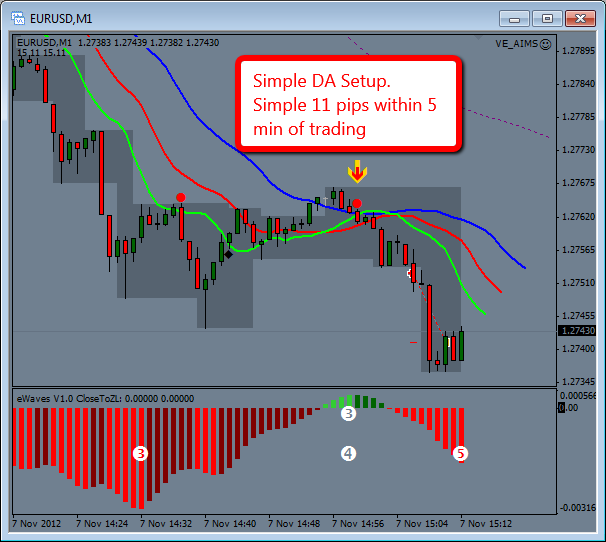 11 pips with trailing stop loss. 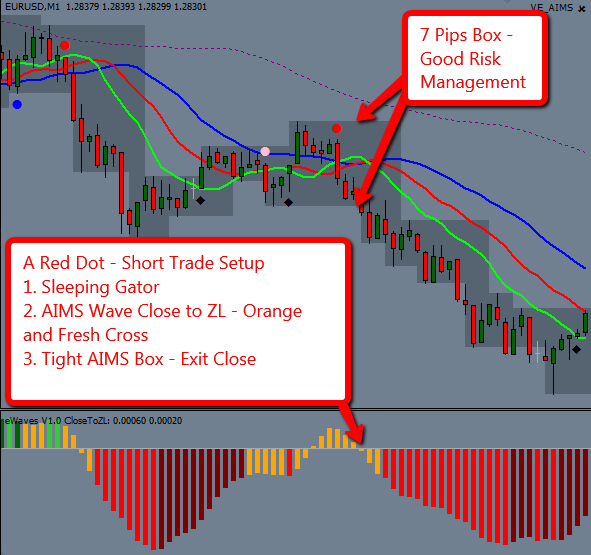 AIMS Stress Free Trading Setup is based on 3 Simple Rules using 3 Simple Indicators. BWould You like to LEARN How Its Done?